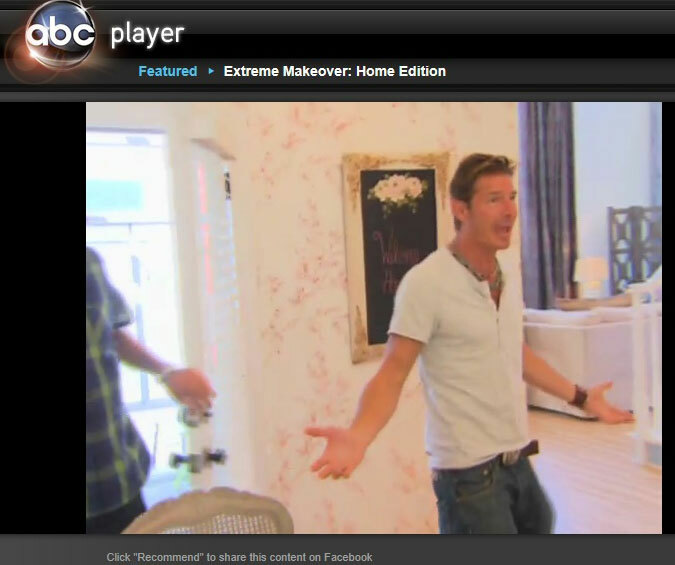 If your a fan of the show " Extreme Makeover: Home Edition" then you must have seen last nights Thanksgiving tear-jerker! The Dunn family, the soupers, as they are so well known for. An amazing family with a heart of gold. 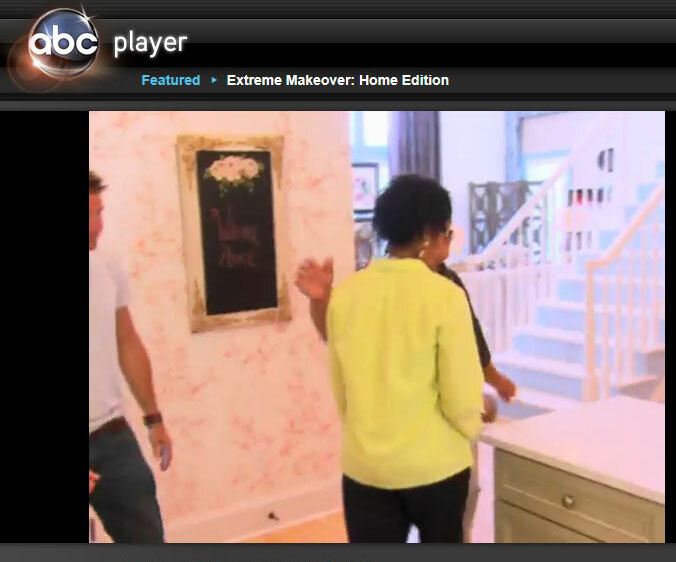 I was honored and thrilled when the designers of the show asked me for something hand painted to decorate the house as the owner loved shabby chic roses. 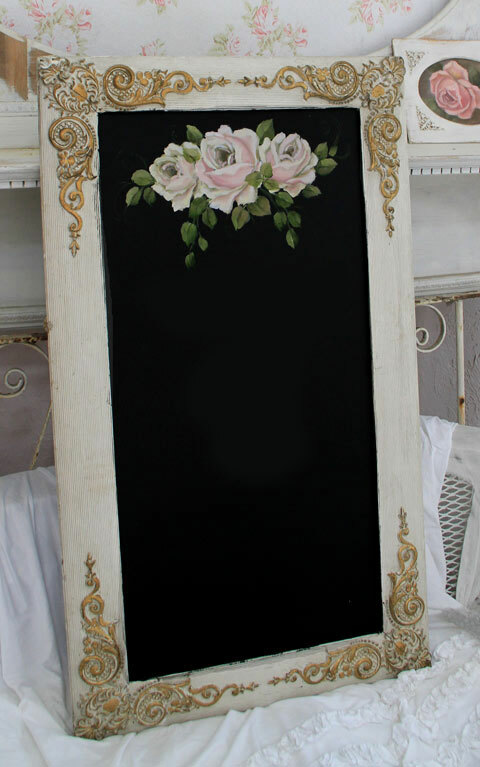 So I took an antique frame and painted the glass with chalkboard paint, then painted white cabbage roses on the front. They had written, " Welcome Home" to the Dunn family. I loved the pink wall paper they chose, just lovely. Here's a few screen clips of the chalkboard frame. You can go to ABC.com to watch the episode.